This document will focus on identifying expanding and exploring legal issues which may be encountered regarding the housing development by Respond in partnership with Department of Environment, Local Government and Communities. The project is to consist of 21 apartments in the upper level of the existing St Johns College building and 36 new apartments in a newly build block which will be located on the college site at Richardson’s Folly, Waterford. Mythen construction will be the contractors on site for the project which started in December 2013. The legal issues which will be focus of the project are Conservation & Protected structures, Duty of Care, Scope of works and Boundary disputes. Each area will be outlined within the document and furthermore expanded on in order to outline methods of resolving such issues. Legal literature regarding both construction and general law will be used as will appropriate case law in order to widen the scope and provide a more general view of the issues. The main aim of this document is to identify, evaluate and expand on “the main legal issues likely to arise in relation to the respond housing association development at St Johns College, Richardson’s Folly, and Waterford.” The document will explore legal issues related to Architecture which may occur or be encountered by both an Architect and Architectural Technician on site during the duration of the project mentioned above. In evaluating these issues, past legal cases associated to the topics will be reviewed in order to provide a clearer view of the issues in question, to the relevant laws and how these issues can be resolved. Guidance will also be provided in terms of how these issues can be dealt with and also how they can be foreseen and eliminated at an early stage in the future as to avoid any disputes between all parties involved in the project whether these disputes happen on or off site. Prior to the breakdown of the issues which may arise a short overview of St Johns College, the history of the college and a breakdown of the project undertaken by Respond will be outlined in order to provide a wider scope of the project as a whole. Qualified writers in the subject of housing are ready and waiting to help you with your studies. St Johns College is a Catholic seminary which as mentioned, is located at Richardson’s Folly in Waterford. 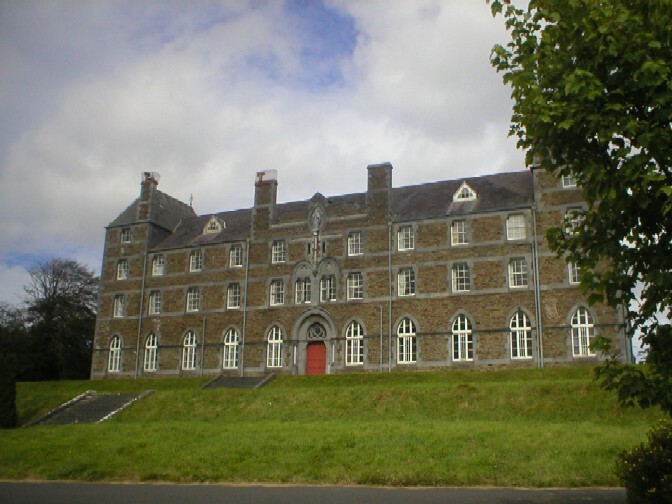 The college which was founded in 1880 for the Waterford/Lismore diocese. The college was made up of two schools the first being a classical school run by Rev. Thomas Flynn and the second an Academy run by Dr. Geoffrey Keating. The College closed in closed in 1999 due to lack of activity and vocations with the remaining students transferred. In 2007 it was announced that Respond Housing association in partnership with Department of Environment, Local Government and Communities had acquired sections of the site which is a protected structure of approximately 3900sq.m with a proposal of redeveloping the building into social housing. Mythen construction began works on site in December 2013. The development as it stands is to consist of the retrofit/redevelopment of the existing college building which is to include 21 apartments on the upper floors with a new building located on site which will house 36 new apartments (2400 sq.m approx.) the redevelopment will also include communal facilities. 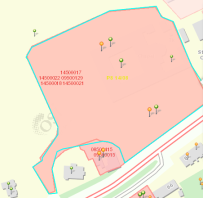 Below are images of the proposed and existing buildings with 3 OSI maps showing the site location and the proposed new site. The following are the legal issues which will be identified, evaluated and expanded on. As mentioned these issues will be broken down in order to identify how these issues can arise, how they can be dealt with and how they can be prevented in the future. Previous legal cases, Legal literature regarding construction and general legal resources will be used to further the reasoning behind such issues and how they may arise. The first area to be explored is conservation and protected structures. As the main college building is a protected structure this without doubt will be an issue associated with a project. When a project is undertaken which involves conservation or that of a protected structure it is essential to have an architect who has some experience in conservation or dealing with protected structures. As stated in the Irish Planning and Development act 2000 “Each owner and each occupier shall, to the extent consistent with the rights and obligations arising out of their respective interests in a protected structure or a proposed protected structure, ensure that the structure, or any element of it which contributes to its special architectural, historical, archaeological, artistic, cultural, scientific, social or technical interest, is not endangered”. In keeping with the statement above it is important for a conservation survey to be carried out on the structure prior to commencement in order to ensure no part of the building is endangered. If with the project in question there is need to either for an addition or deletion an addition as stated by the Irish Planning and Development act 2000 “in the case of an addition, the addition is necessary or desirable in order to protect a structure, or part of a structure, of special architectural, historical, archaeological, artistic, cultural, scientific, social or technical interest, whether or not a recommendation has been made under section 53” On the other hand in terms of a deletion the 2000 act states “in the case of a deletion, the protection of the structure or part is no longer warranted” In order to avoid any disputes or breach of regulations it is essential to carry out work on a protected structure with a high degree of care. It is in everyone’s best interests to ensure that a protected structure is well maintained and preserved accordingly which in turn can eliminate any potential problems which may be encountered during the duration of construction stage. Duty of care can be defined as person or person’s responsibility to act with the same level of care, attention and cautiousness as a person in a similar situation when carrying out an act, ensuring that there is no possibly of danger or endangerment. For example a designer should strive to achieve the same level of competency as a designer within the same discipline when carrying out works ensuring that he has carried out the associated works with a reasonable amount of care. For example if an Architect fails to comply with building regulations this can be seen as a breach of his/her duty of care given that they have failed to ensure the safety of the building occupants once works have been completed failure to comply with such regulations may also lead to potential damage to the building. When it comes to any kind of building project there will always be a duty of care whether it be to the structure itself, to the client and the persons working on the site. Both the contractor and Architect hold a duty of care in terms of the proposed development being fit for purpose and also that the construction has been carried out in a competent manor including the drawings which were prepared for the project. To give an example in terms of duty of care being breached by one party if the contractor feels as though the Architect is incompetent and that his/her drawings are not too a standard in which can be used to successfully and safely carry out the associated works the contractor may feel that the Architect is in breach of their duty of care and vice versa if the contractor/builder is not constructing the building in a safe and sufficient manner then the architect may feel the builder is in breach of his/her duty of care. In terms of an example of duty of care outside of construction the case of case of Donoghue v Stevenson  AC 562 is a fitting example as it came down to that it was the manufacturers duty of care to ensure the product was fit for human consumption and when it subsequently was found to not be fit for human consumption it was proven that it was a breach of duty of care on the manufactures side. To ensure there are no disputes regarding duty of care it is crucial that all parties involved from the design team to the construction team are competent enough with their responsibilities to sufficiently successfully and safely complete the project without breaching their duty of care and also that they understand they have a duty of care and that this must be adhered too. As per the RIAI Standard form of contract 2012 review by Tony Cunningham scope of works can be defined as “The contractor must complete the works in accordance with the Contract Documents to the satisfaction of the Architect. The contractor must also comply with Architects Instructions”. Prior to works commencing on the Respond housing development at St Johns College all works to be completed would have been outlined within the contract such as the contractor’s roles and responsibilities on site as well as off site. Cunningham also goes onto mention within the review that if the contractor fails to deliver the specified works outlined then he/she may be held liable with the cost of such implications either being added to or reduced from the contract sum. The Architect also holds the power to appoint a new contractor to site in order to complete the unfinished works left by the previous contractor whilst also charging incomplete work to the original contractor. Given the scale of the project at St Johns College this could potentially be a problem during the duration of the works. In the case of Hymany [Pontoon] Ltd -v- Galkil Ltd t/a Impact Developments  IEHC 188 although the contractor had failed to complete some of the work which was outlined within the contract the judge deemed that the contractor could not be held responsible given the fact the scope of works outlined in the contract was broad and with very little specificity. Hymany [Pontoon] Ltd -v- Galkil Ltd t/a Impact Developments shows how in order for the contractor to fulfill the scope of works correctly it is essential that the scope of works is carefully outlined in depth in order to eliminate confusion which in turn could cause a dispute between the architect and contractors or vice versa. When it comes to diputes involving boundarys there can be a number of factors or variables involved. In most cases involving boundary disputes it comes down to incorrect mapping which defines the boundarys of a site in position which in reality it may not be the correct position. In order to attempt to define where a boundary lies the deployment of a professional surveyor to give his/her opinion on where the boundary lies may be crucial at the early stage in terms of elimating future disputes regarding the asscoiated boundary. 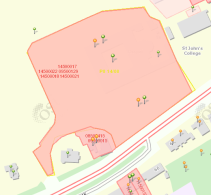 In terms of St Johns College respond development from the pictures below the site of the develoment is outlined in blue with a smaller site also outlined in Fig6. There could potenially be a dispute if it is taken that the new development enchroaches onto the smaller site as this could also fall under prtivate nuisance. 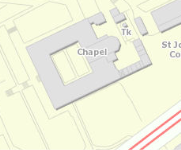 If there is no visible boundary between the two sites at St Johns College this may also cause a potenial dispute. In order to reslove a boundary dispute it will take a combination of both surveyors and lawyers. The lawyers will provided the releavnt information regarding the deeds and documentation which the surveyor will use in their investiagtion into providing the legal position of the boundary. The majority of boundary disputes can also be resolved using mediation as it can keep a civil relationship between both parties while preventing costly legal fees. Overall given the scale of the St Johns College project it is highly likely that one or more of these issues will arise on site during the duration of the project. Although the issues mentioned can be resolved it can also be a lot more difficult to anticipate them. In saying this there are, as mentioned, ways in which they can be dealt with early on to try and avoid any disputes and intern make for a easier more succesful project but this does not always happen on bigger projects.The majority of the issues which are encountered on and off site on projects can be eliminated through good detailed planning and also ensuring all parties undertand the terms outlined in the various contracts asscoiated with the works. The legal issues exlpored within the document have provided a wider scope personally which is very benifical in terms of the future and future employment as I now have a greater understanding of what each one entails. I feel as though the project as whole was worthwhile and rewarding.I feel as though my ability to compile a document of this nature has improved as has my general knowledge of contracts law and construction law. Speight, A & Stone, G. (1996). The English Law of Tort. In: Speight, A & Stone, G Architects Legal Handbook. 6th ed. Great Britain: Reed Educational & Professional Publishing Ltd 1996. Scriven, J, Pritchard, N, Delmon, J (1999).A Contractual Guide to Major Construction Projects. London: Sweet & Maxwell. Part 2 p8-21 Part 3 p17-32. Cunningham, T. (2013).The RIAI Standard Form of Contract 2012 Edition: a Review.Available: http://arrow.dit.ie/cgi/viewcontent.cgi?article=1005&context=beschreoth. Last accessed 18th March 2015. "Housing Development Legal Issues." UKEssays.com. 11 2018. All Answers Ltd. 04 2019 <https://www.ukessays.com/essays/housing/housing-development-legal-issues-3011.php?vref=1>. "Housing Development Legal Issues." All Answers Ltd. ukessays.com, November 2018. Web. 23 April 2019. <https://www.ukessays.com/essays/housing/housing-development-legal-issues-3011.php?vref=1>. UKEssays. November 2018. Housing Development Legal Issues. [online]. Available from: https://www.ukessays.com/essays/housing/housing-development-legal-issues-3011.php?vref=1 [Accessed 23 April 2019]. UKEssays. Housing Development Legal Issues [Internet]. November 2018. [Accessed 23 April 2019]; Available from: https://www.ukessays.com/essays/housing/housing-development-legal-issues-3011.php?vref=1.